Small black skirts were firstly introduced in 1926 and this is a great reverence to all the women around the world. Chanel wanted to create a skirt that can be great for wearing during day and night. If black was considered a negative color before, after Chanel this has changed. Women all around the world approve her model with thankfulness. Coco Chanel first designed female trousers. She was also wearing trousers during the times when women used corsets and covered themselves in long dresses. Of course this act of boldness was criticized a lot but trousers made their way into women’s wardrobes quickly due to their convenience and freedom of movement. During the day, Coco used to wear trousers with short legs in combination with a classic expensive cardigan. During the night, she used to wear wider trousers that Marlene Dietrich is remembered for. Chanel loved fashion accessories and her jewelry was mainly composed of expensive ornaments. She could be rarely seen without pearls, rubies, emeralds, brooches or hats. But she also advised women to be careful with wearing too many accessories. 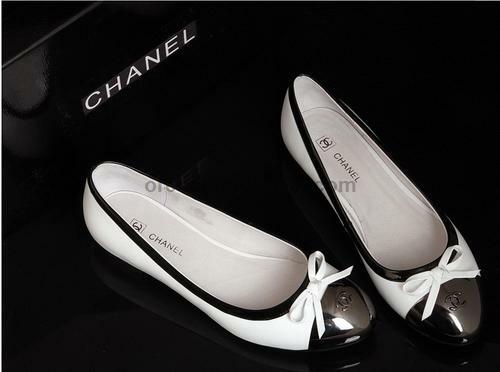 Chanel adored the combination of black and white which can be seen in her famous black and white sandals. She believed that a woman in these sandals looked sexier and her feet smaller.